At the end of 2015 T.M.R received an email from a former C64 scener called Psycho Stick who was looking for someone to write an oldschool-style C64 intro for use during streaming sessions at his about to be launched Twitch channel Gamerz Xtreme and, since he's never one to shy away from an excuse to abuse some raster bars, that challenge was readily accepted! This intro took a couple of weeks to program and was delivered in source code form with documentation so that, along with potentially having new scrolling messages each time it was used, elements could easily be customised as the code was assembled; colour and movement can be configured for the logo, sprites or raster bars and it's possible to set scroll speed and colour for both text lines from a relatively easy-to-edit text file. 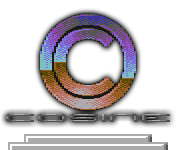 Trivia: the music used in this intro was originally created for Comets Trilogy, a compilation of the Simon Nicol games Mad Planets, Crazy Comets and Mega Apocalypse which was created and released through C64 fanzine Commodore Zone with his permission.